A housewife, Bilkisu Abubakar slumped and died during a quarrel with her co-wife, Hajara Abubakar. Both were married to the same husband at Jiramo village in Takai local government area of Kano state. 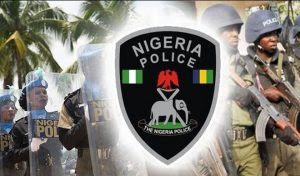 The Spokesman Kano police command, DSP Abdullahi Haruna Kiyawa who confirmed the report to Daily Trust, said the incident occurred on Wednesday, around 10pm. He said the case was reported to the police by the Village Head of Fajewa, Alhaji Ya’u Hamza. He said the Village Head came to the police station with the suspect, Hajara. According to him the suspect “had a quarrel with her deceased co-wife resulting to a fight, as a result of the fight Bilkisu suddenly collapsed and died.” He said the corpse of the late woman had been deposited in the hospital.